The Holidays can be an overwhelming time of year for someone when considering where to shop for their family and friends. There are deals and ads for everything. How do you get your company to stand out against your competitors? Add value to your company with content on your blogs and social media sites that will be sure to get you noticed. 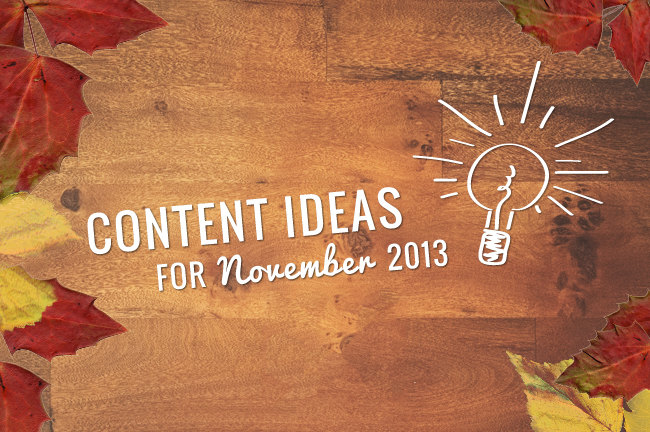 That’s where we can assist you with over 100 content ideas for every day of the month. 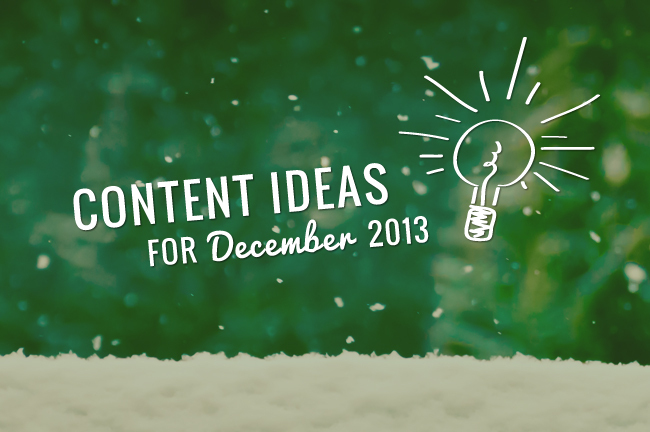 We are also featuring 5 unique and festive content ideas that are different from the typical holiday content ideas. 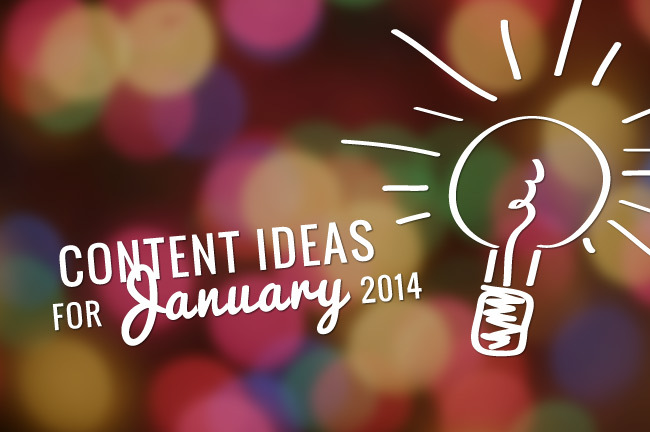 Be sure to leave us a comment with any other December content ideas you have! Download free one of our two holiday hours graphics to your website. These festive graphic are customizable to your company’s contact information. With many businesses changing their business hours during the holiday season, this graphic will help your customers stay informed on when to contact you. If you are staying open later for more shopping to occur, you will want to alert your customers that you are indeed open. If you are closing early or for the day, avoid upset customers by letting them in on the best time to reach you. 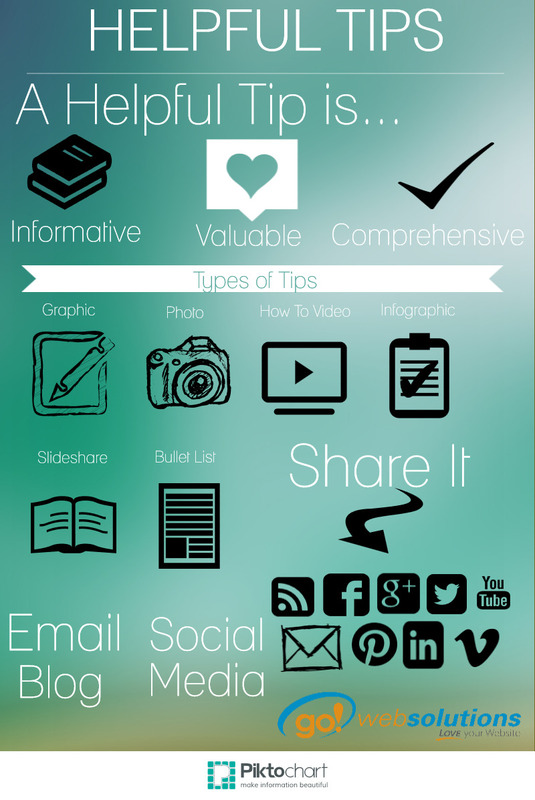 These graphics are good for content because your contact information can be easily shared. Host a contest on Facebook or Pinterest. The contest applicants will select one product or service of yours that they want to add to their holiday wish list. 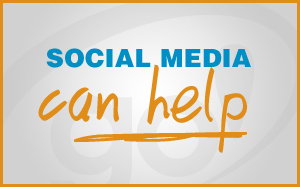 The content can be listed all over your social media sites getting everyone involved. The winner you select will receive one item they put on their holiday wish list. The purpose of the contest for you is to get more engagement on your social media sites, direct more traffic to your website, and to see what products or services that are the most wanted by your customers. Connecting with what your customers want can help you in selling to them. Save the postage and a tree by writing a letter that you post to the front page of your website and link from your social media sites. You want this letter to be geared towards your customers. Your title and opening sentence need to be a powerful hook to catch their attention. What you will want to include in the letter is a recap of the past year. Mention any new products or services you launched this past year, a thank you to your customers for supporting you and give a sneak peak of what the new year holds for your company. Get them excited for what’s next! Shine a light on one of your employees by writing an in-depth profile on them. The employee can be someone who is new and/or noteworthy. People love personalization and want to get to know those who are behind the scenes. Chose someone who has a story that people will find interesting, someone who has gone above and behind within their job, or someone who no one knows what they do. The great thing about this profile is that you can reuse this idea as many times as you want with a new employee spotlight every week, month, or year depending on the number employees you have within your company. How many of you make a personal New Year’s resolution every year with new goals you set for yourself? Why not take it a step further a make a New Year’s resolution for your company? As a company, you should already be setting goals to better improve your business on a continual basis. Bring your customers into this by writing a blog with some of your company’s aspirations for the year. Interact with the blog by asking for their opinion on what they what like to see change or stay the same with your company. Also, ask other business what are some of their company’s ideas. This blog can bring content for January and December by initially putting some ideas out their in the beginning of December, then redrafting the resolution after getting insight on what your customers want before the new year, and then in January mention how your progress is going. Mastering content marketing can give you the edge with your business. You will be able to bring in more people, appeal to a larger audience, and make your name heard by people who would not know you exist otherwise. It is an effective and reliable form of marketing, as long as you do it properly. 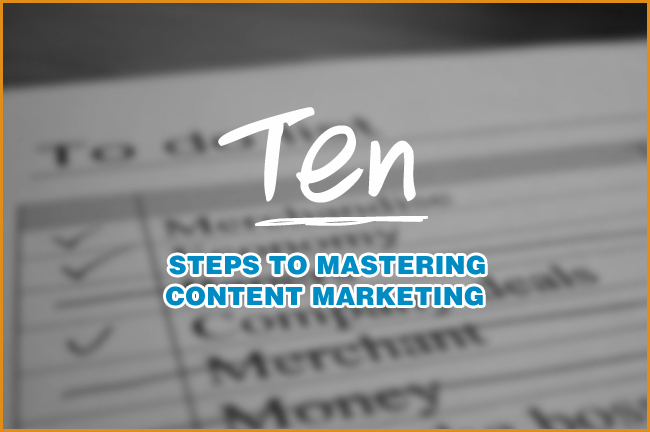 In order to master content marketing, there are a few things that you have to keep in mind. Understanding these steps and putting the time into them can give you the best chance of success when you market yourself. This might seem like common sense, but it still needs to be touched on. Quality content marketing means using quality content. What you publish should be good and should make your readers / viewers want to use you. If you focus more on the marketing and less on the content, you may be hurting yourself in the long run. Trends are always changing. When something new is popular, you should make use of that. 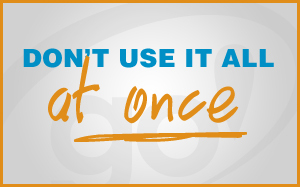 What a lot of businesses forget, though, is that trends end. You see many businesses using trends months after they are already out of the spotlight, which has a habit of attracting negative attention from the target audience since they are no longer caring about it. 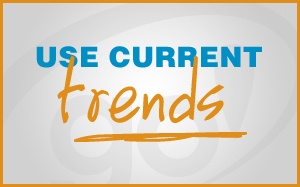 Trends need to be current in order to bring in the most amount of positive attention. Your content should show different sides of your business and field. Compared to your average search engine optimization, there has to be a lot of thought into this. People should want to read / watch what you have to say and stay with it. If it comes off as too much of an advertisement, it may work against you. Some people make the mistake of doing it all at once. They think that it will be like simple SEO, where you do the work and make changes over time to reflect current trends. You have to keep in mind, however, that too much content can be a turn off. When people go to read your articles or watch your videos, you want them to do so in a way that is quick and effective. If there is too much, it may make them want to look elsewhere. Cut up your content and send out small, complete pieces over time. Expert advice can make a huge difference in your success. Just like with search engine optimization, you have to make sure that you have professional work to help you. This increases the effectiveness of your marketing, it ensures that the content is factual, and it gives you the boost in trustworthiness. You need to make sure that your content has all of this if it is to succeed and attract positive attention. The people making you the money matter. What is trending with the readers / viewers in your specific field is vital to your success. Do your research on a regular basis to see what people want to read / watch. When you are using trending topics and giving people what is proven that they want, you can make a lot more from the content that you publish. 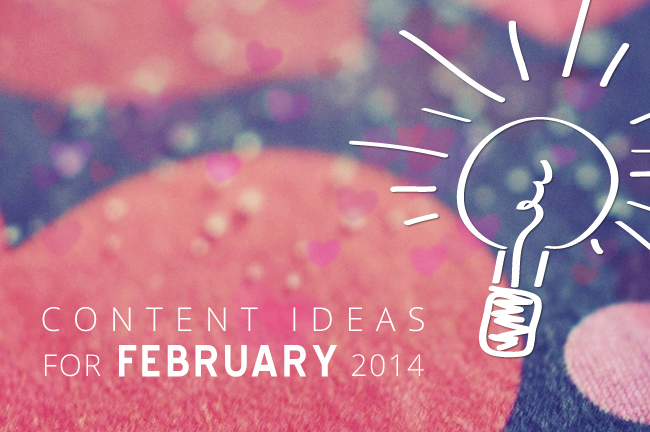 Remember the new rule: Search Engines love what People love…so write to engage with People. Like SEO, there is more than one method involved. Two major ones are articles and videos, both of which can give your business a huge boost. Make use of them and keep in mind quality content. Understand the difference in needs of both of them to use them as effectively as possible. Try to switch it up and give your readers / viewers options, too. 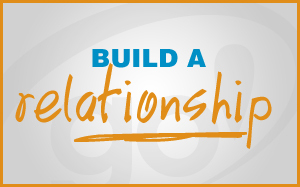 You want to make sure that there is a relationship between you and your readers / viewers. Search engine optimization cannot do this, but content marketing can. This will make it easier to have them become loyal, increasing long term profits and appeal. Part of this is using content that does not throw sales into their faces. Make the content enjoyable while encouraging them to choose your business. It should teach them, entertain them, or give them a reason to continue reading / watching. With SEO, you are just getting people to know that you exist. With this type of marketing, however, you are going to be giving people a clearer view of you as a whole. That view needs to be a good one, so make sure that you are only showing off the best sides of your business. Attract people to what will help them and why they would want to use you. Stay away from negatives. To give this a boost, you can even use testimonials that are positive when marketing your business. We all use social media for one reason or another, but many people are overlooking its uses with content marketing. It is a place to share things, and that can include your content. If you want to attract as many people as possible, then make it easier for people to share on sites like Twitter and Facebook. 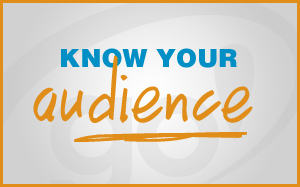 Use them to your advantage so that your loyal readers / viewers can market your business for you. Have you ever struggled with coming up with content to write on your blog and social media websites? Pounding your head against the wall because you think there’s nothing interesting to write about this month. Let me tell you, we have all been there. 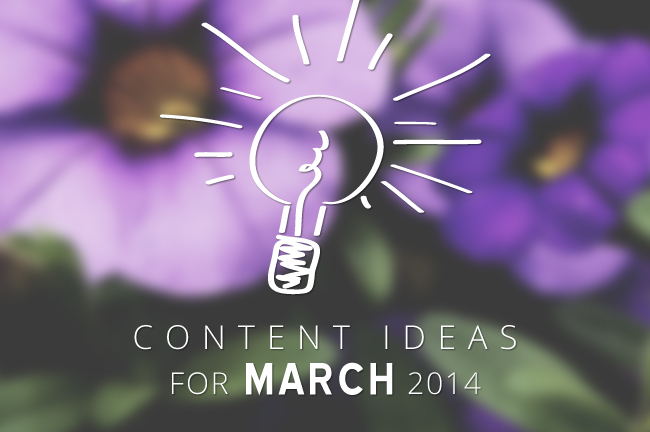 I want to make the search for content a little less stressful on you by providing you with a wide variety of content ideas each month that will be helpful to you. One last thing…please add any other ideas in the comments below! Veteran’s Day is a day to celebrate all the war veterans across the nation who has served our country. A day to honor all of those we are proud to call our family member, our coworker, our client, our neighbor or our friend. There are war veterans everywhere you look who have all gone through something that civilians will never understand. IDEA: Take a moment today to recognize someone within your community for their brave acts in making our country safe for your business to be up and running. That special person might just be someone in your company who is making a difference for you. This day is meant to be a fun day to send ecards to everyone. With some many types of ecards, there are enough to go around and send everyone you know something different. IDEA: Send out an e-card to your clients thanking them for being your client. You will get them smiling while thinking of your company. Black Friday is the largest shopping day in the United States. There is literally a world of possibilities to market Black Friday and get more sales. You can also have fun promoting the days leading up to this day. IDEA: You can do a daily countdown to your sale, highlight different products and services that you offer that will be discounted that day, or mention stories from last year’s Black Friday. This day originated 3 years ago in the effort to get people to not just shop at the big brand named companies on the biggest holiday shopping weekend of the year. It’s a day we can band together and support our local business and better our communities. IDEA: If you are a small business, write about your journey to creating your own company. Really personalize it! You can write a blog about your company’s background or throw out “Did You Know?” facts about your company on social media sites. Make it in a form of questions to get people involved and engaging with you to try and guess the information about your business. Have facts that could beneficial to them through a fun environment. National Novel Writing Month goes through the whole month of November. This project is used to challenge people to write 50,000 words in a month. The point is to push people beyond their writing limits. IDEA: I challenge you to take this opportunity to push yourselves to write as well.There is no need to write 50,000 words, but rather meaningful content that will get readers interested. Write encouraging words to your fellow participants out there to keep on writing. If you are a company who sells laptops, use this content to drive more sales. If you own a bookstore, mention how books open the window to knowledge. If you sell office supplies, write about the different items you will need to write, ie a pencil, paper, or a comfortable chair to sit in while you write.